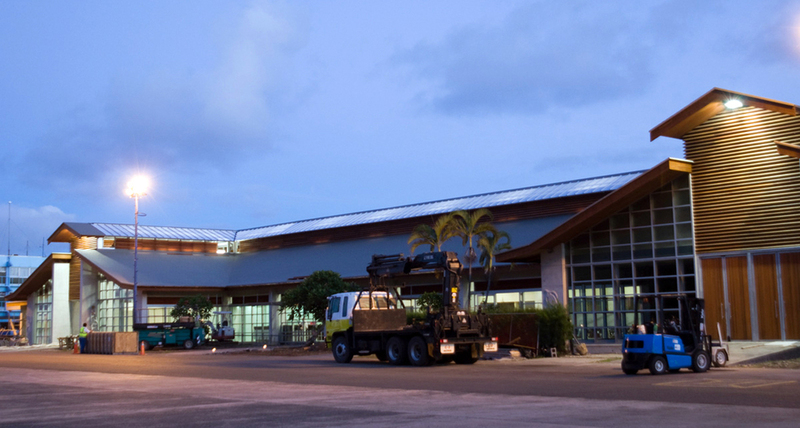 The Rarotonga Airport project was initially a response to new civil aviation requirements to separate arriving and departing passenger as well as the need to shelter the departure area which was an open grassed patch. 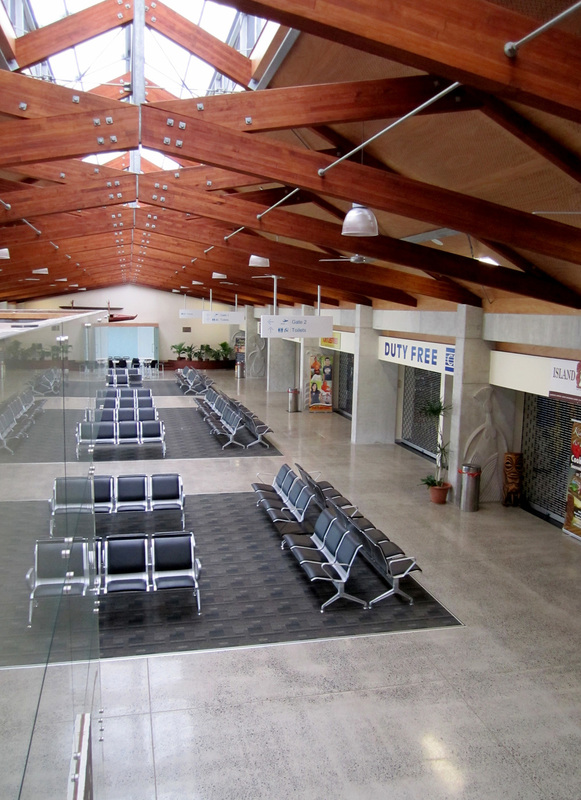 The brief developed further to incorporate new retail facilities, VIP lounges and a much needed upgrade to the arrivals facilities. 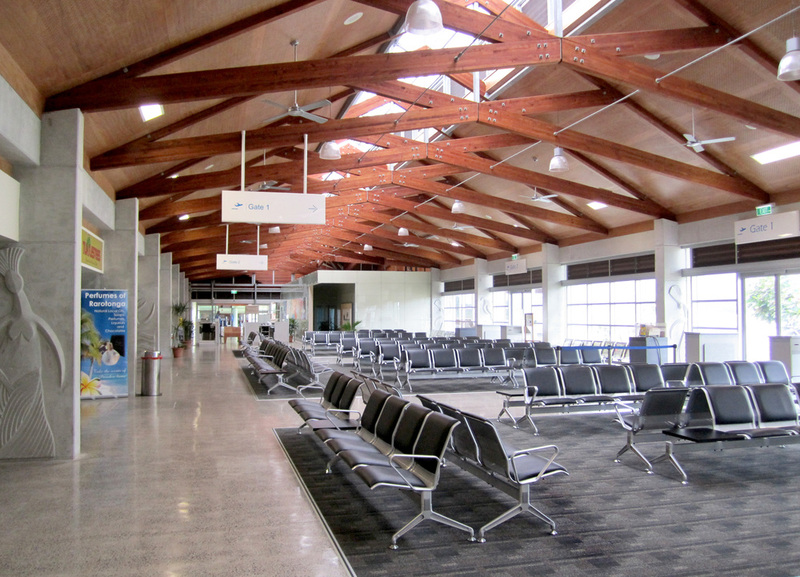 The airport has been designed to utilise natural airflow to cool the interior through open timber louvres at both roof level and at a lower level allowing cross ventilation to occur naturally. 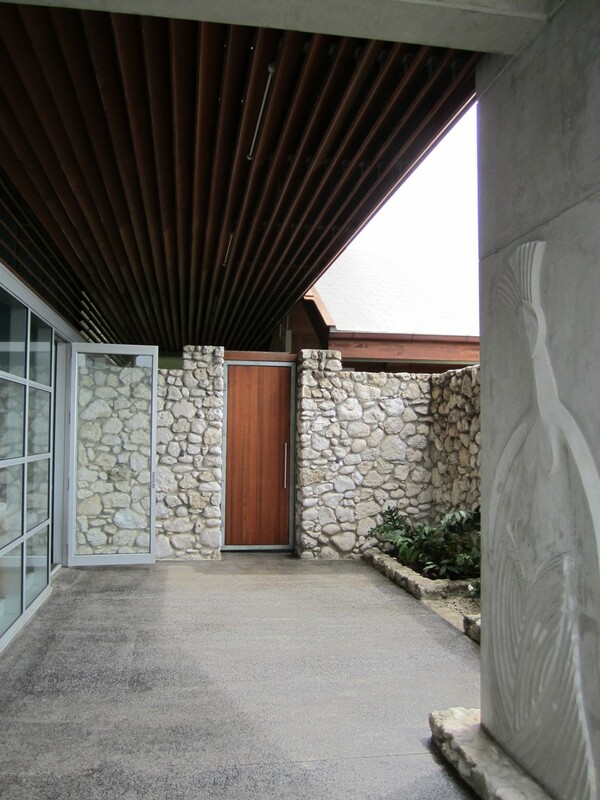 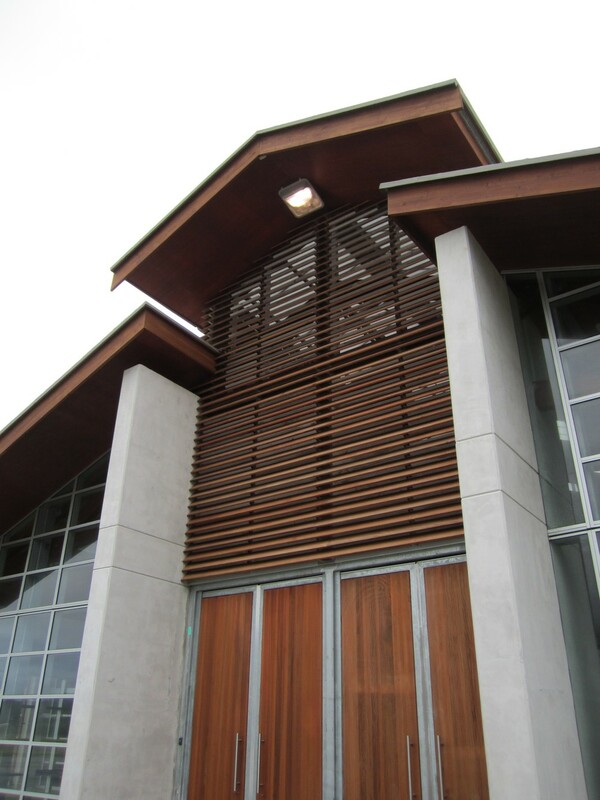 Timber and concrete have been used throughout the building eliminating the use of steel due to the high corrosion levels of the coastal site. 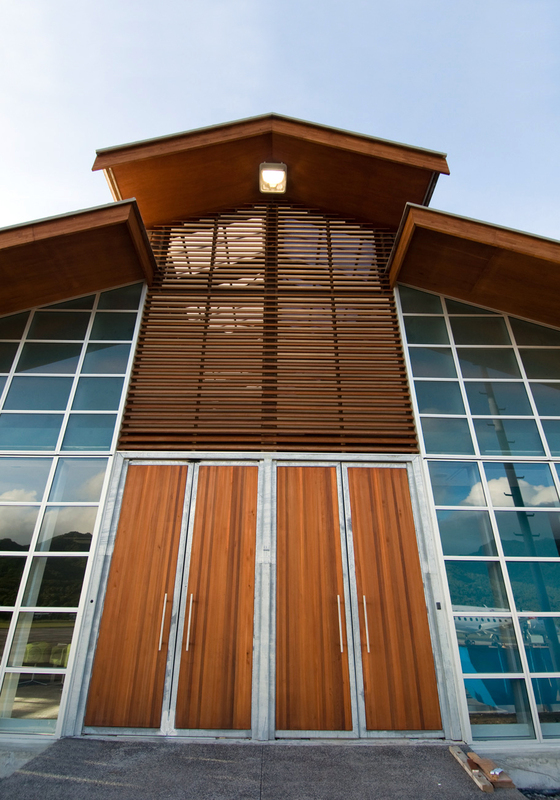 For this reason the roof has been constructed from a torched on shingle which is also in keeping with local building designs. 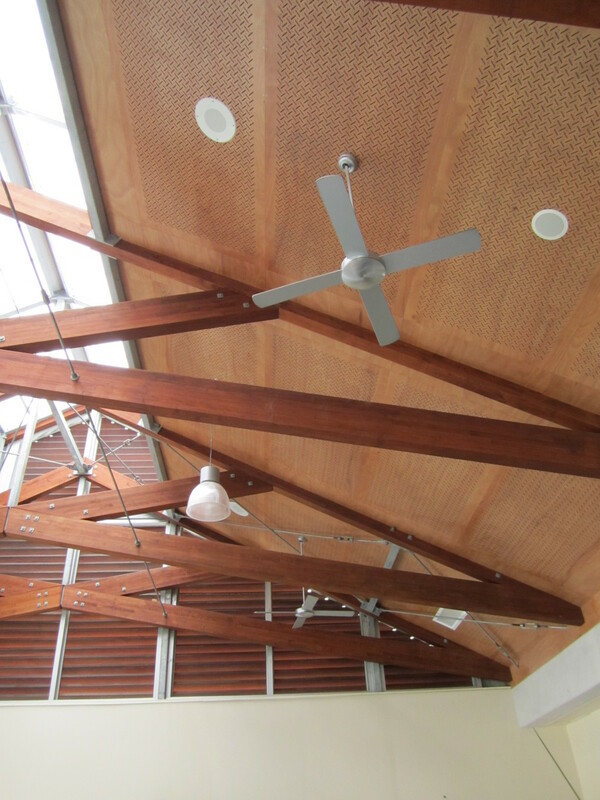 Local artists have been commissioned for artwork throughout the new terminal with designs reflected in the column impressions, glazing, wall features as well as sennett lashings to the roof trusses.